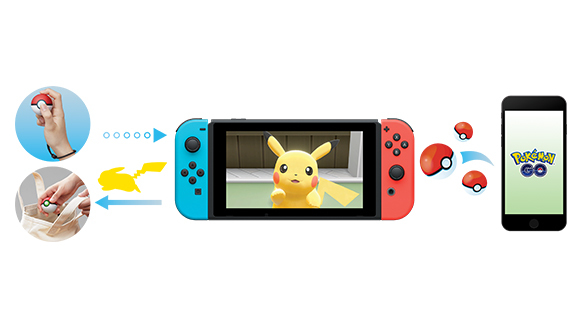 The Nintendo Company has announced Pokemon Let’s Go, Pikachu and Pokemon Let’s Go, Eevee for the Nintendo Switch during the 2018 Pokemon Video Game Press Conference in Tokyo. Both titles are slated for a release on Nintendo’s latest platform on November 16, and are inspired by 1999’s Pokemon Yellow: Special Pikachu Edition for the Nintendo Game Boy – an enhanced version of Pokemon Red and Blue. 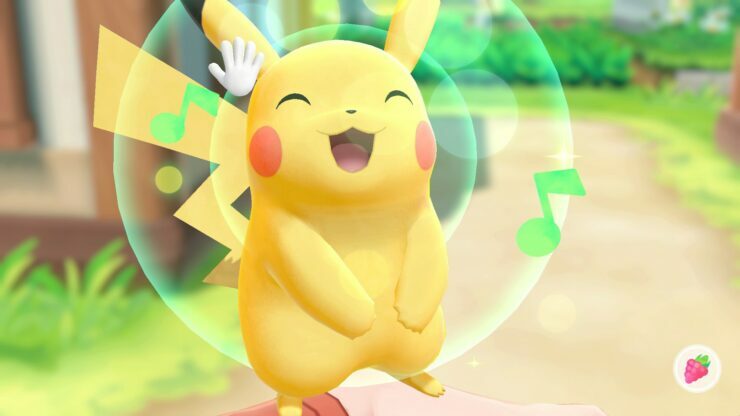 With Pokémon: Let’s Go, Pikachu! 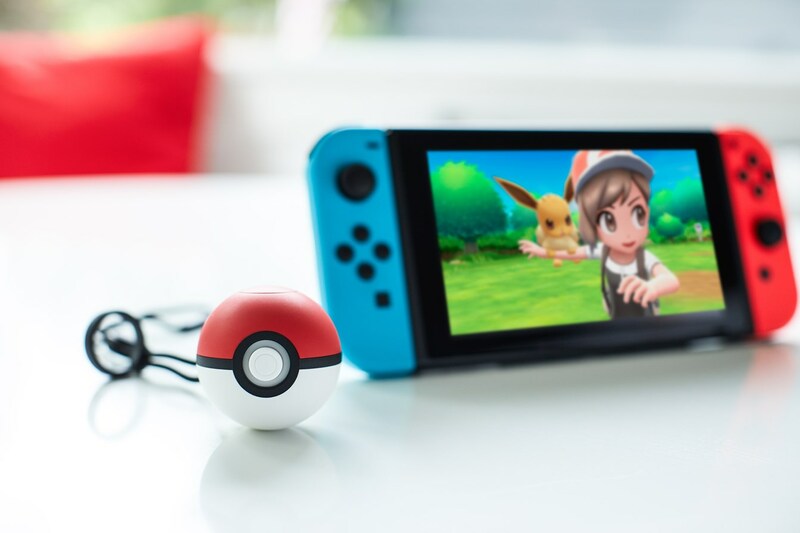 and Pokémon: Let’s Go, Eevee!, Pokémon is inviting fans on a new journey by taking them back to a familiar setting. Inspired by Pokémon Yellow, which was originally released in Japan on Nintendo’s Game Boy in 1998, these two new titles feature many of the intuitive gameplay functions offered to players in the hugely popular Pokémon GO and are designed for players taking their first steps into the Pokémon video game world. Trainers will embark on an epic adventure set in the iconic Kanto region joined by their trusty Pikachu in Pokémon: Let’s Go, Pikachu! 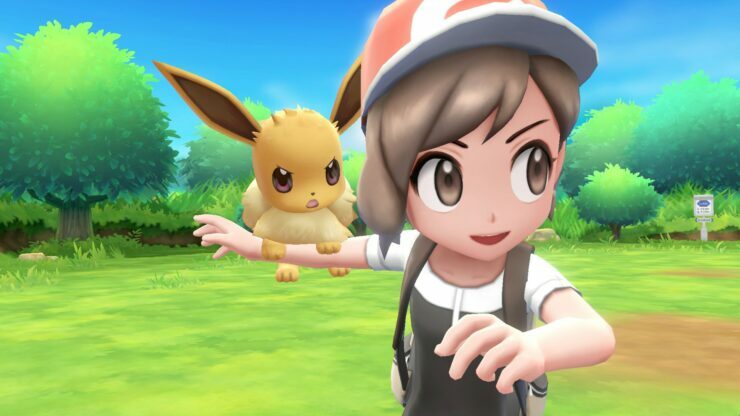 or Eevee in Pokémon: Let’s Go, Eevee! 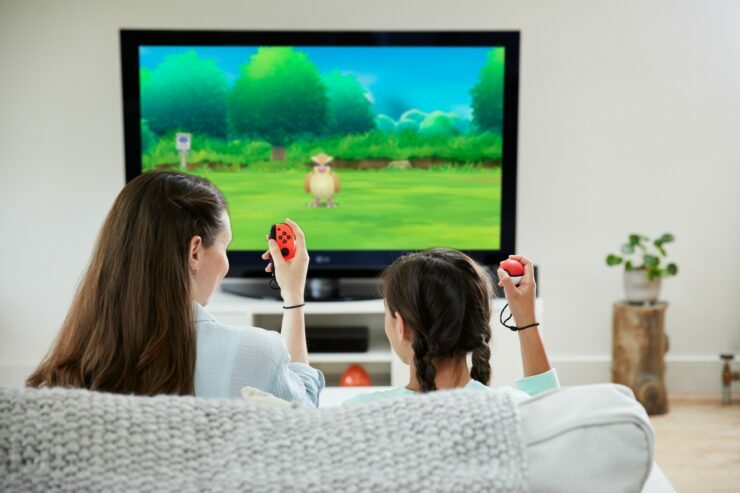 They feature brand new gameplay to make the most of the unique capabilities of Nintendo Switch, such as throwing Poké Balls to catch Pokémon by swinging Joy-Con controllers, as well as the opportunity for family and friends to battle and explore together in a new two-player mode. As revealed during a Q&A session with The Pokemon Company following the game’s official announcement, both games will feature the original 151 Pokemon and some Alolan-form Pokemon. 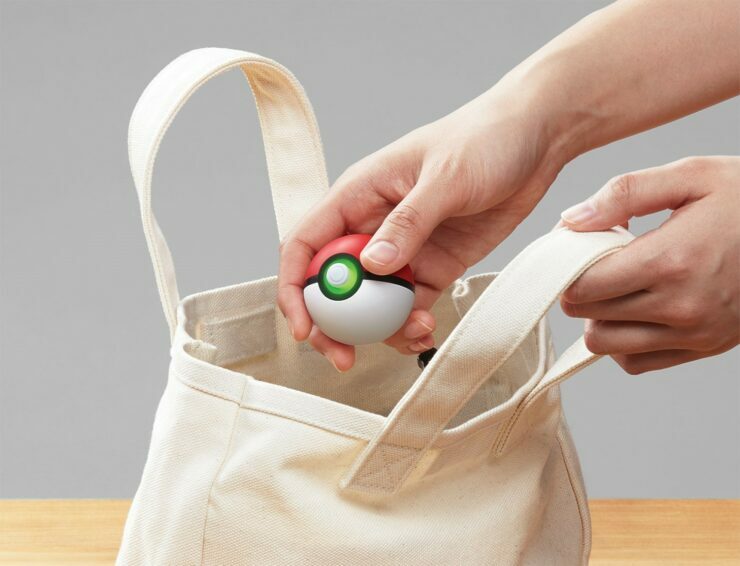 In addition, one entirely new Pokemon is said to appear in the games, which can be met by linking the game to Pokemon GO via Bluetooth. 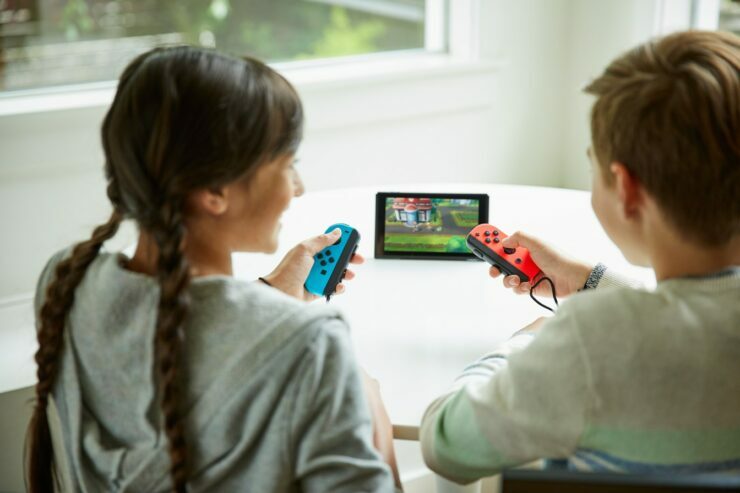 Currently, no online features for the games are planned, but players will still be able to trade and battle with other players, although multiple Switch units are required to do so. While the original Pokemon Yellow featured wild Pokemon battles, this won’t be the case in Let’s GO Pikachu and Eevee. 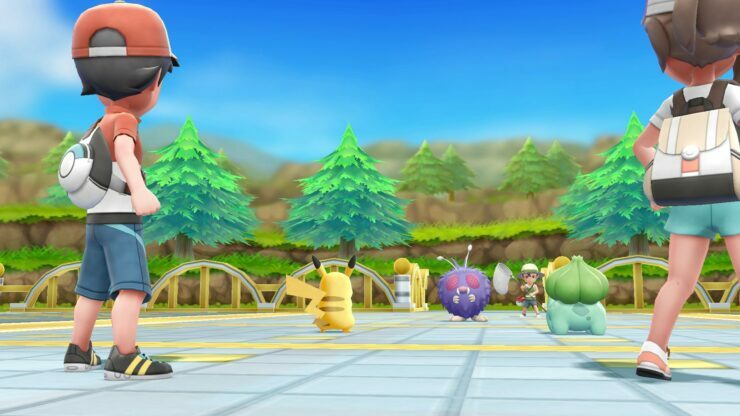 Players will be able to battle other trainers however. 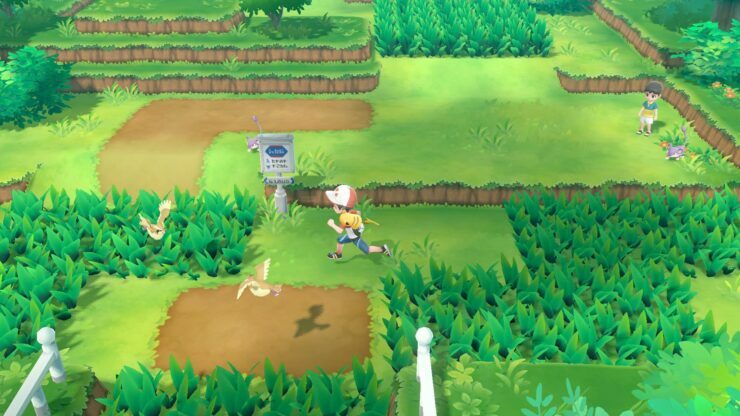 More information about Pokémon: Let’s Go, Pikachu! and Pokémon: Let’s Go, Eevee!, can be found at the game’s official website.